In ‘Around The Table,’ we highlight member news and share information on industry trends. This week, we shine the spotlight on Avista, the Seattle Mariners, and Virginia Mason. Avista has a long history of partnering with organizations in the communities it serves. One such partnership is with Spokane’s Second Harvest Food Bank. Avista recently toured the food bank to help find ways to save energy. One such change was replacing existing fluorescent lights with TLEDs, cutting Second Harvest’s energy use for lighting by half. Avista also upgraded Second Harvest’s electric fork lift charging stations, which created 20 to 30 percent more efficient charging of their fork lifts and increased battery life. Learn more about Avista and its community partnerships here. 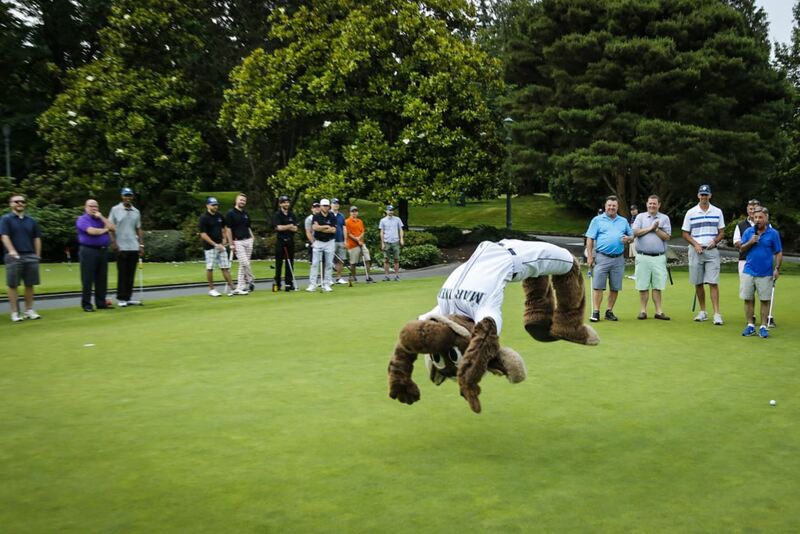 The Seattle Mariners on Monday hosted the 32nd annual golf tournament to benefit the Cystic Fibrosis Foundation. The tournament was held at Seattle’s Broadmoor Golf Club and was attended by current and former players, media members, and supporters of the cause to eliminate the disease. Since the tournament was established 32 years ago, Mariners Care has raised over $5.7 million prior to Monday’s event in partnership with the Cystic Fibrosis Foundation. “The foundation has been very fortunate in that the last few years we’ve helped develop a drug that today, almost 60 percent of our population is able to take and not have the effects of CF,” Chad Moore, the national board member of the Cystic Fibrosis Foundation said. “What this tournament does is lets people know what we’re doing.” Read more and view photos from the event here. 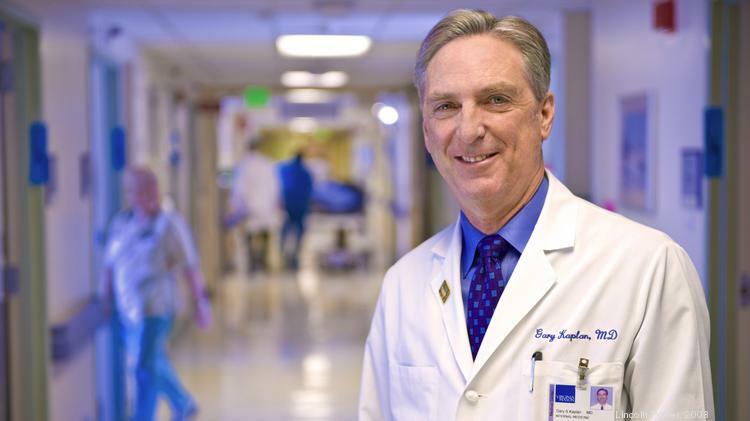 Dr. Gary Kaplan, CEO of Virginia Mason, is one of 300 people on the ballot for the Modern Healthcare 100 Most Influential People awards. The program honors individuals in healthcare who are deemed by their peers and the senior editors of Modern Healthcare to be the most influential individuals in the industry, in terms of leadership and impact. Voting closed last week, and winners will be announced on August 21. Click here to learn more about the award. In ‘Around The Table,’ we highlight member news and share information on industry trends. This week, we shine the spotlight on the Alaska Airlines, Boeing, Puget Sound Energy, and the Seattle Seahawks. Seahawks quarterback Russell Wilson helped make graduation even more special for seniors in Highline Public Schools and in the Tukwila School District. 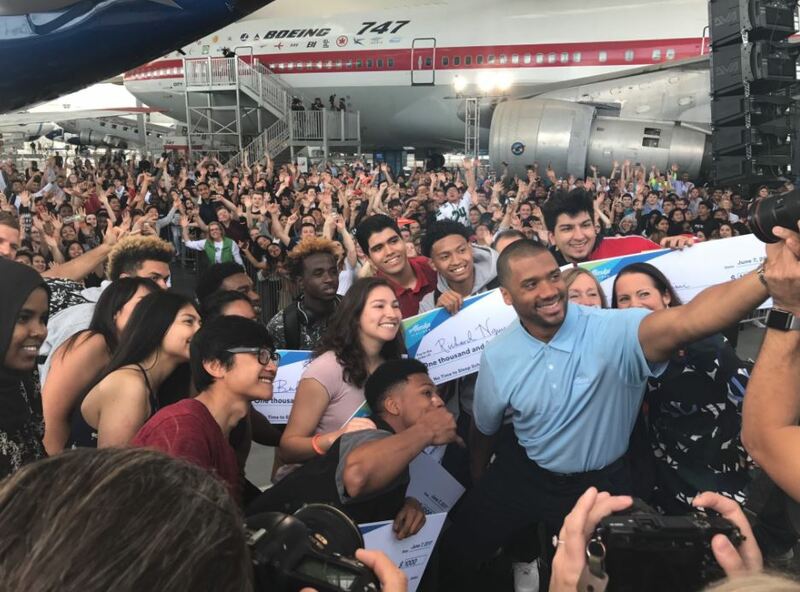 Scholars who fulfilled all graduation requirements were invited to join Russell Wilson and Alaska Airlines CEO Brad Tilden (also a Highline alumnus) at Highline High School in Burien for a celebration honoring their academic achievements. Attendees used the hashtag #GraduateHighline to capture the special event. 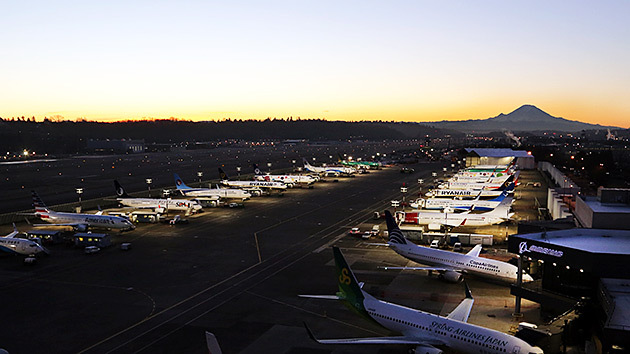 Boeing invested more than $13.5 billion in Washington in 2016, according to a report Boeing just filed with the Washington Department of Revenue. Boeing’s 2016 investment comprises billions of dollars for payroll, supplier purchases, and capital investments. This includes significant expenditures tied to the new 777X facilities, a direct result of Washington’s aerospace incentives. It also includes hundreds of millions of dollars Boeing paid in state and local taxes, more than $32 million in community contributions and nearly $35 million in college tuition for Boeing employees in Washington. Nearly half of Boeing’s employees world-wide reside in Washington state. Read more here. 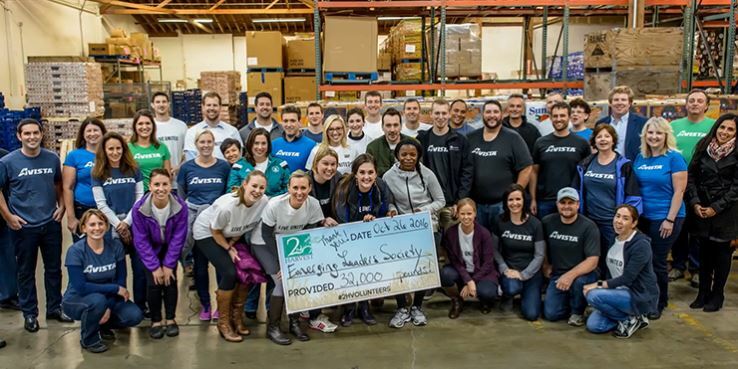 Employees at Puget Sound Energy stepped up recently to give back to their communities. Partnering with the United Way of King County, PSE raised awareness and nearly $350,000 for local communities and regional charities through the “We Give Because” giving campaign. Check out the video above or on Facebook which features some of those generous PSE employees.